The trailer of Badla has just hit the internet. Starring Amitabh Bachchan and Taapsee Pannu, Badla is directed by Sujoy Ghosh and slated to release on March 8. 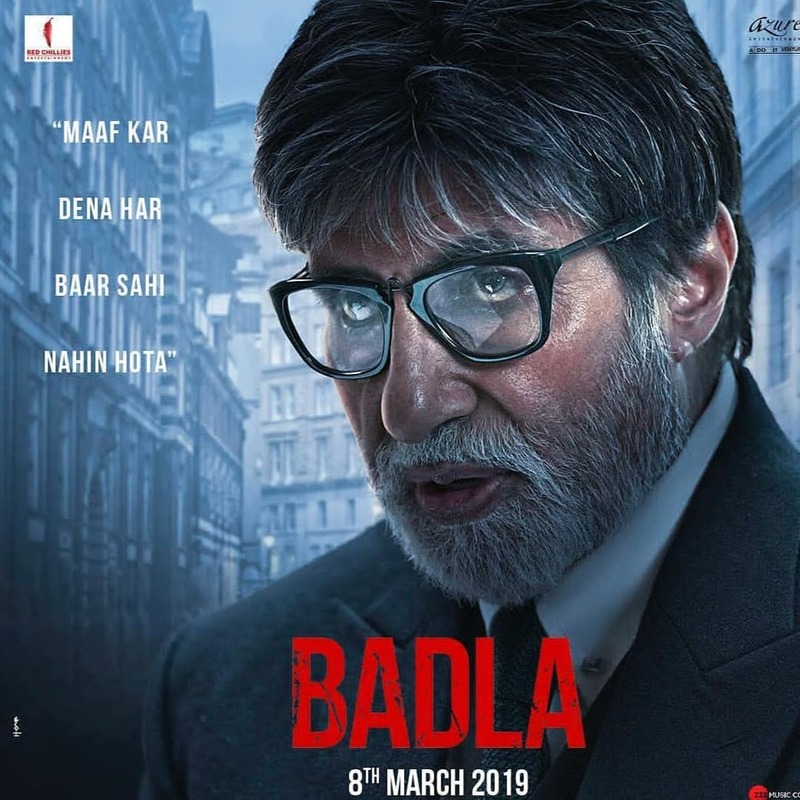 The trailer of Amitabh Bachchan’s upcoming film Badla has finally launched. The actor, featured opposite Mulk actress Taapsee Pannu in their second outing together after Pink (2016), certainly makes a striking appearance in the video as he dons a convincing look. Directed by Sujoy Ghosh, Badla is touted to be a revenge thriller. Ahead of the trailer release, Shah Rukh Khan tweeted saying, “Main aap se Badla lene aa raha hoon @SrBachchan saab! Taiyaar rahiyega...”. According to several reports, SRK might make a cameo in the movie. An official Hindi remake of the Spanish film, The Invisible Guest, Badla is being co-produced by Shah Rukh Khan’s Red Chillies Entertainment. “My excitement is doubled now that the film is being produced by SRK. I couldn’t have asked for a better team and now it is time for work,” Sujoy Ghosh had Mumbai Mirror earlier.